Kyle Kingsbury is attractive, popular, and rich. He is also a major jerk who loves to hurt other people. When he decides to play a cruel trick on an outcast at school he is punished by getting transformed into a beast. He has two years to find true love in order to be changed back into his handsome self and Kyle believes that is an impossible task. His father does not even want to be around him because he is too horrified by his appearance and Kyle is sent to live by himself with a maid and a blind tutor. Despite the hopelessness of the situation, Kyle begins to thrive and change. So much so that when he finally comes in contact with a girl again he feels he might be able to love her…if only she could love him back. 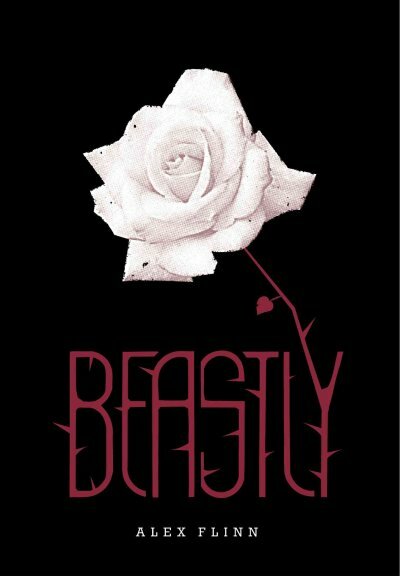 This retelling of Beauty and the Beast is modern and old fashioned at the same time. The story of Kyle and Lindy is heartwarming and hopeful so that the reader naturally wants them to get together and break the spell. Readers will notice some symbolism with the roses and some of the character traits. The characters are well developed and interesting to read about and many readers will enjoy the story, but especially those that enjoy books like Once Upon a Marigold. Marigold and Christian are living happily ever after in this sequel to Once Upon a Marigold until one day when they have their first fight. Little do they know that it is foreshadowing trouble ahead as Marigold’s mother, whom they thought was dead, is actually regaining her memory in a town far away. She has had amnesia for a year since her accidental fall into the river, but now she remembers who she is and is determined to reclaim her throne. King Swithbert has been enjoying having his kingdom back under his own control and has no plans to relinquish that control, unless it is to Marigold and Christian. When Olympia returns and sees what has happened to her kingdom she immediately makes plans to change it back to when everyone was unhappy and afraid of her. She is only too happy to get rid of anyone who stands in her way, even her own husband and daughter. For fans of the first book, this is a must read. The returning characters are fun and great new ones are introduced. The story itself moves very quickly too as the different characters make their plans for gaining control of the kingdom. It’s not quite as captivating as the first one, but a fun read nonetheless. Fantasy and fairy tale lovers will enjoy it.